Rule One in the art of music collecting is to take everything you can. Never be choosy, moderate or polite, just grab it. The best moment to judge whether something is worth having, is when you have it. I remember many great records that I did not buy, for reasons that turned out to be totally flimsy afterwards. It is far better to regret a record that I did buy, but that turned out to be worthless. And I have also learned to suspend definitive judgements on records, because more than once my ears were opened to a particular record many years after I thought it was a waste of money. -Unknown CD of unknown origin, given to me by Mark Reeve. There are four tracks on it, and I have no idea what this is. 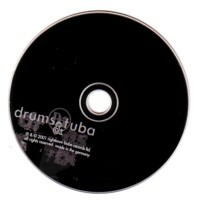 - Drums&Tuba. I found this CD in a second hand CD-player that I bought. It is better music than what is on many of the CD’s that I bought recently. Of course I should have told to the guy who sold the CD-player that he left a CD in it, but I am happy I did not. I have looked up who is behind Drums&Tuba, and they seem to be a famous band. I have never heard of them, but I will try and hear if I like their other CD’s too. 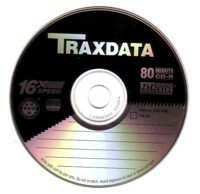 -Copy of a CD with Greek music. 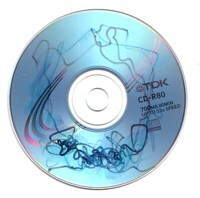 This CD was in the CD-player of the car we rented during our vacation on Crete. Most of the songs are sung by a women, a few by a band. Our children hated to have to listen to the whole CD. But hey, this is a gift, and I think you should be grateful for everything that is given to you. Even if it is not really “given” and if it is Greek music that gives you headache. To get the optimum effect of this finds, play them all at once.